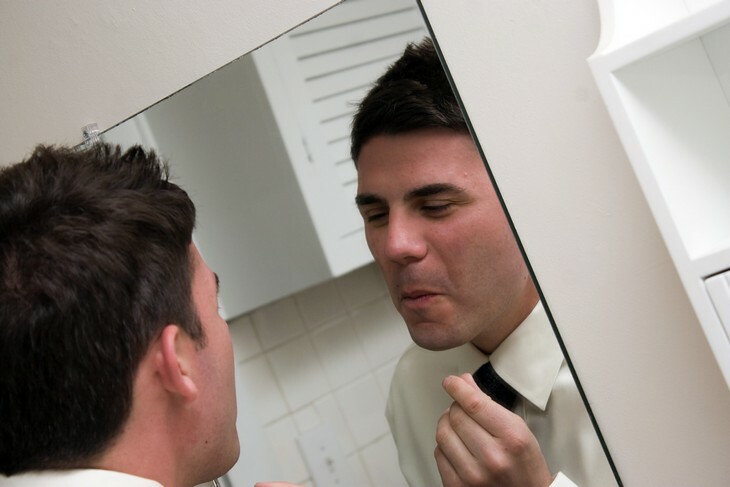 If you’re a guy who frequently struggles with sensitive skin, know that you are not alone! Tons of men often have a difficult time trying to track down the best bump free electric shaver that will deliver a solid cut without being overly irritating on their skin, and we decided that it was finally time to lend a helping hand to fellow fellas around the globe who need some assistance with finding a trimmer that makes sensitive skin a top priority. Lots of men’s grooming brands have recently been kicking out some seriously incredibly options when it comes to shavers that are made for sensitive skin, and we’ve created a list of the top 5 best options that money can currently buy for these types of electric trimmers. No matter your price range and features you’re looking for, these are the best electric shavers that will deliver a fantastic cut while ensuring your skin stays comfortable and bump-free at all times. There are quite a few Braun-made shavers on this list, and the first and highest-end model that we’re going to be talking about is the Series 9 9090cc. This is one of the most powerful shavers that Braun currently manufactures, and it’s essentially the king of bump-free shavers. The Series 9 builds upon the already solid foundation that Braun crafted with the Series 7 (more on that model later), and one of the biggest reasons the 9090cc is so great for bump-free shaving has to do with its head. The Series 9’s head constantly remains cool and comfortable even throughout prolonged use sessions, and this keeps your shave smooth with drastically reduced pulling and tugging on your facial hairs. Also new with the Series 9 is something that Braun is calling its “Direct & Cut” trimmer. This new cutting system allows the Series 9 to easily cut through particularly long hairs from a multitude of different directions. This means that you can get through your cutting in a considerably smaller amount of stores than you would with a traditional foil shaver, and this further helps contribute to a bump-free shave. If you don’t want to necessarily compromise on any key areas with your future bump-free shaver but also don’t want to hand over an arm and a leg for it, the Panasonic ES-LA63-S Arc 4 has you covered. One of the highlights for the Arc4 is its 14000 RM motor, and this (combined with the awesome 4-blade setup) offers a fantastically close and smooth shave every single time you power up the shaver. Another win for the Arc4 has to do with the way it handles cutting through wet hair. In our testing, the Arc4 consistently outperforms pretty much every Braun option when it comes to working with wet facial hair, so if this is something that’s important to you, the Panasonic will definitely be the better choice for you. It’s pretty much impossible to make a list of the top 5 shavers for any niche without mentioning Philips, and this holds true when looking at shavers that do a solid job at reducing or eliminating any resulting bumps. The Norelco S9311/87 is another shaver that’s right up there when it comes to price, but Philips also does a whole lot to justify its increased price tag. The head of the S9311 is able to move in eight directions and cut around 20% more hair than competing rotary options. The S9311 also performs admirably with both wet and dry hair, and the various cutting speeds allow you to have a great deal of control over how you want to tackle your facial hair depending on its length. When looking specifically as to why the S9311 is such a boss with keeping your shave bump-free, this has to do with its V-Track Precision Blades. This is a brand-new blade system that Philips crafted just for the S9311, and it allows the shaver to cut hair in the best possible position. This creates for a cut that’s not only 30% closer to your skin, but also one that’s crazy smooth and about as irritation-free as they come. The Braun Series 7 790cc is the predecessor to the Series 9, and although it may not be quite as new and shiny anymore, it still provides a stupid amount of power for a now reduced price. Braun’s Series 7 still remains as one of the most popular foil shavers around, and it’s ideal for bump-free shaving thanks to its micro-pulsations in the middle trimmer that can easily cruise through long, short, and even coarse hair without skipping a beat. Another solid feature of the Series 7 is Braun’s Sonic tech. This lets the Series 7 automatically adjust its settings based on the hair that it comes into contact with, so based off of your own facial hair, the Series 7 can adapt to deliver a cut that’s as smooth and close based off of your hair. That might sound like something straight out of the future, but it’s here and it works surprisingly well. We started out this list with the most expensive Braun shaver currently on the market, and now we’re ending it with one of the most affordable ones — the Series 3 ProSkin 3040s. The Series 3 may not necessarily be dirt cheap, but it’s about as little as you can pay for a shaver that still delivers the bump-free trim you’re looking for. The closeness of a shave that the Series 3 is able to kick out isn’t quite on the same level as the Series 7 or 9, but it still does a really great job at being easy on your skin and not causing for any unnecessary irrigation or bumps. Braun’s Series 3 can easily cut through hair that’s either wet or dry, and the smooth shave that it’s capable of is all thanks to the pressure sensitive blade’s that Braun constructed. The Series 3 on its own is a pretty solid shaver, but when you factor in its price and realize it’s a fraction of what the Series 9 costs, it’s really easy to recommend this thing wholeheartedly for people who need that bump-free shave but are also on a budget. Click here to read more about Series 3 ProSkin 3040s on Amazon. The search for the best bump free electric shaver can be a little overwhelming if you don’t know what to look for or where to start, so hopefully this list makes that whole process of yours quite a bit easier. You won’t be disappointed with any of the shavers that we talked about here, so buy with confidence and start saying goodbye to unwanted bumps and irritation.